WOW! As in MACYS WOW PASS for Black Friday! Click here for your $10 off $25+ Macys Wow Pass. 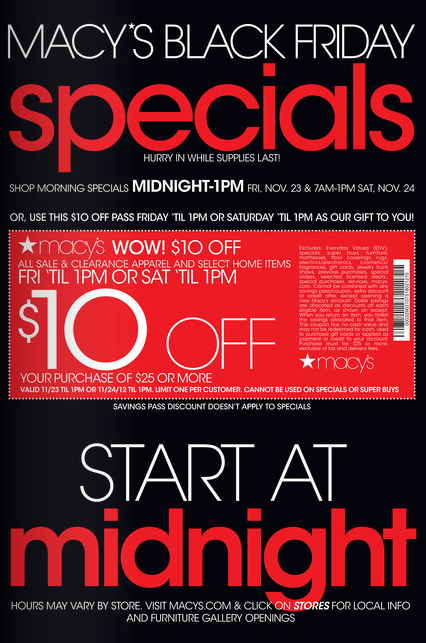 This coupon is good on Black Friday, November 23, 2012 and Saturday, November 24th, 2012 before 1pm each day. One coupon per customer.